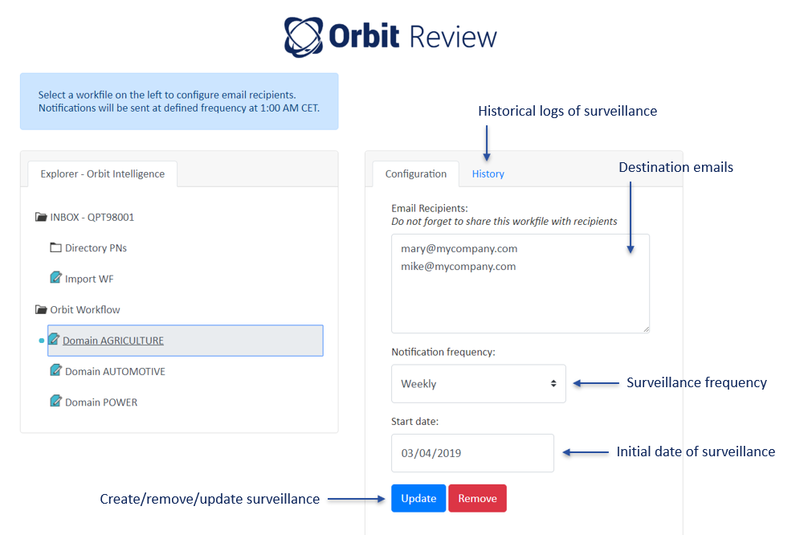 Orbit Review is a companion feature for Orbit Intelligence to notify recipients when documents are added or updated in workfiles. Who and what is it for? 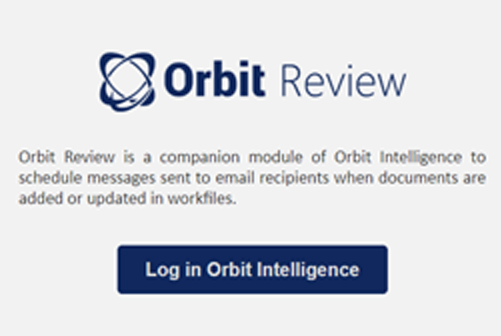 Orbit Intelligence users who need to invite recipients to read and comment on patent information in Orbit Intelligence each time new (or updated) documents appear in selected workfiles. Orbit Review can be configured on a per workfile basis. Notification period can be configured to broadcasts emails to recipient with links to patent information. At the defined frequency each workfile is surveyed to identify newly added (or updated) documents, which are then broadcasted in emails to the recipients. Login Orbit Intelligence to access configuration of your workfiles.